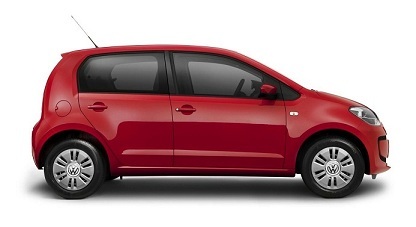 VW has now re-entered the city car market with one of the leading models. We reckon the Up is going to give the Koreans a tough time and if it's sensibly priced it has the talents to be the best one of all. When buying a small car, you wouldn’t normally expect it to cope very well with motorway driving. But even at cruising speed, the up! remains a quiet and relaxing way to travel on long trips. There's a choice of 1.0-litre petrol engines, with either 59bhp or 74bhp – neither are particularly fast, but thanks to a lightweight body, both feel lively around town. The steering is light and accurate, while the brakes are strong, giving the tiny VW the feeling of a much larger car. The manual gearbox is a pleasure to use. There's enough room for four adults inside and it drives very well, feeling nippy in town and planted on the motorway. The impressive fuel economy and low running costs are simply the icing on the cake.